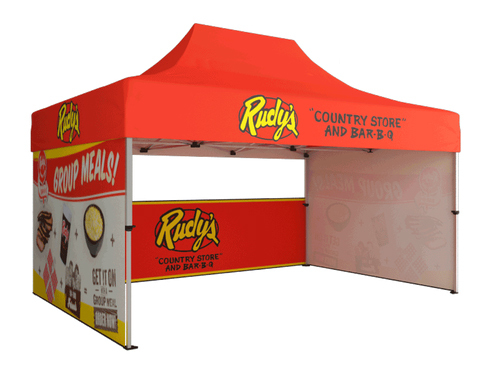 Want to make sure no one can miss you are your next trade show or event? The Pinwheel Hanging Sign is a sure way to draw people to you because of its unique shape. This sign is printed with fabric dye sublimation and comes in sizes 14' and 16'.